So what exactly is GivingTuesday? 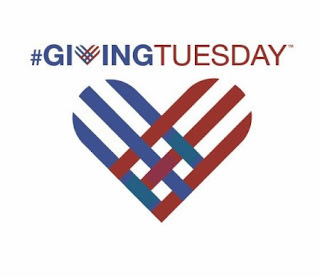 In November, we celebrate Black Friday and Cyber Monday, and now we are also celebrating GivingTuesday, the day after Cyber Monday. It’s about bringing people together and encouraging them to give something more in a time where people can easily lose sight of what really matters. After the crazy shopping days following Thanksgiving, GivingTuesday is an opportunity to take a day to refocus our hearts on spreading love and joy during this time of year. You can participate by making a donation to our unsponsored children fund. At New Hope Children's Home, 24 children have yet to find sponsors. While the other children are enjoying letters and Christmas greetings and gifts from their sponsors, the un-sponosred children can start to feel a little left out. 1. Pray for the unsponsored children to find sponsors! Prayer is incredibly powerful and your prayers can help God bring sponsors to our waiting children. 2. Write letters to the unsponsored children. It can be a very lonely feeling to see all your "brothers and sisters" receiving letters from their sponsors when you don't have one. Help a child feel the same love by writing to them! Tell them you are praying for them, and that you care about them. The impact is greater than you could imagine! To be a letter writer, please email your letter to bigfamilymission@gmail.com . 3. Make a donation to the Unsponsored Child Fund! Donations to the Unsponsored Child Fund help care for the needs of all the children who have yet to find sponsors. Without these donations, New Hope Children's Home would not be able to provide a safe and loving home to the 24 orphans who have not yet been sponsored.